Learn to give a wonderful foot and hand massage incorporating reflexology. This informative class covers 8 lessons that teach you how to give a great foot and hand Reflexology session. This lesson covers the history of reflexology, tracing the use of foot reflexology from ancient times in China and Egypt, to England in the 1890s. Eventually this leads to Eunice Ingham combining zone therapy and compression massage on the feet to develop what we know as modern foot reflexology. This lesson also discusses basic foot reflexology principles. This lesson focuses on performing foot reflexology on the 10 zones of the feet. It shows how to do a basic foot warm up, and then how to work the zones. The 10 zones are the foundation of foot reflexology, each zone reflecting a different part of the body. Working the zones is a great way to give a general tune up to the client. 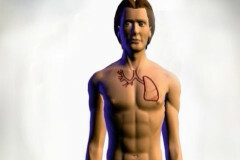 This lesson shows the exact location of each of the organ reflexes on the feet. Then Geri leads your through a routine using correct thumb pressure on each of the organ reflexes. This lesson also shows some energy style work that connects the foot reflexes while you touch the belly on the same organ. This lesson shows the exact location of each of the gland reflexes on the feet. Then Geri demonstrates how to work each of the reflexes. She then discusses how to engage the client using visualization of each gland. This lesson shows how to perform general foot massage using massage cream. A variety of techniques are shown. These techniques can be applied after or before the reflex techniques. This lesson shows the location of the ten zones of the hand. Then Geri shows how to work each zone from the base of the palm out to the fingers. This is a great way to start a reflexology session. Then Geri discusses discrepancies between different reflexology charts and variations between people. 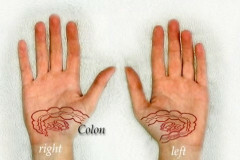 This lesson shows the location of the organ reflexes on the hand. Then Geri shows how to work each of the reflexes in the standard style. 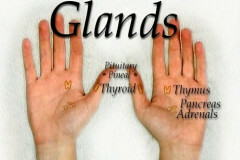 This lesson shows all the gland reflexes located in the hand. Then the reflexology technique to stimulate these reflexes are demonstrated. Finally Geri discusses basic concepts of reflexology.